ITA: Do you want your child to be a leader? Do you want to learn and build leadership skills? 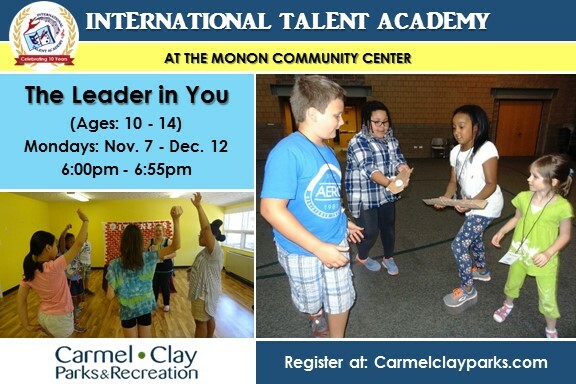 at the Monon Community Center! Students will learn effective leadership and team building strategies and practice working through difficult situations by recognizing and utilizing each team member's strengths.